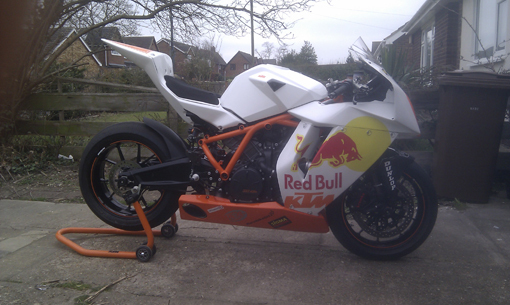 Whether it is a road or track bike, original or custom graphics we can provide all that you need. We have an extensive range of stickers for motorbikes in our online shop, for custom stickers please contact us. L&S Signs have sign written many cars over the years, from modified magazine feature cars to fleets of corporate and courtesy cars. 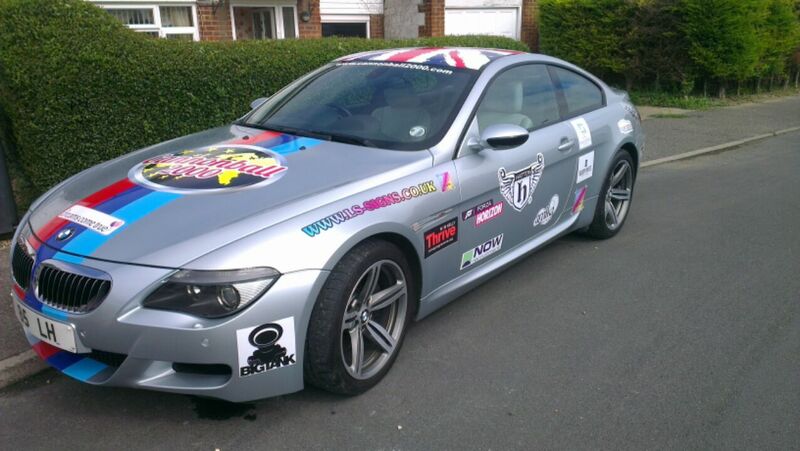 What ever your requirements are we can help. 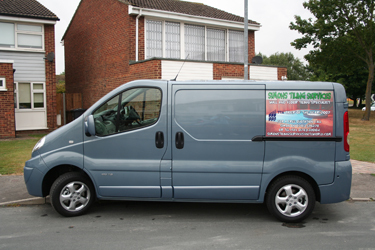 Vans play a vital roll with most businesses, when your van is on the road it is being seen by hundreds of people a day, let people know who you are and what you do by using the van as a mobile advertisement. 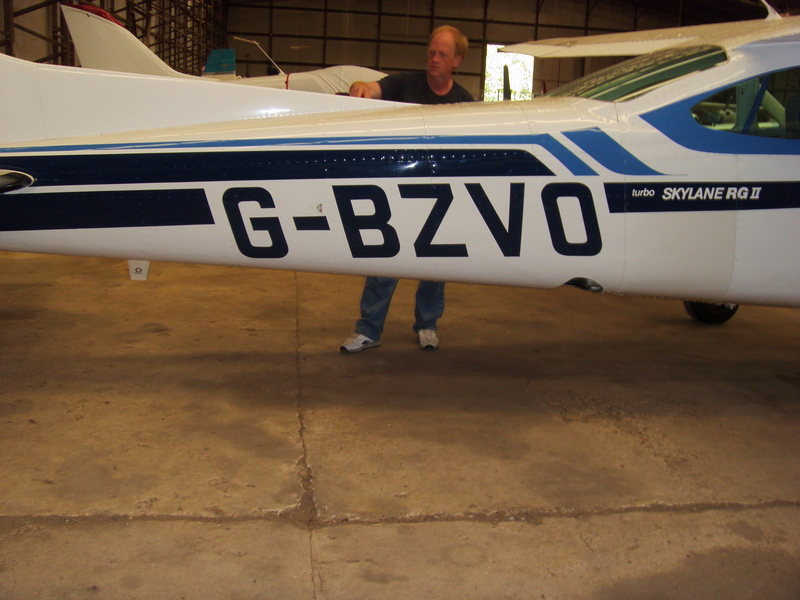 Whether it's simple vinyl lettering or fully printed vinyl graphics you are after big or small we can meet your requirements. 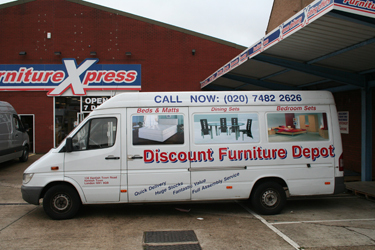 The majority of our customers believe that the cost of sign writing the company van is recouped by the extra business generated from the FREE advertising. 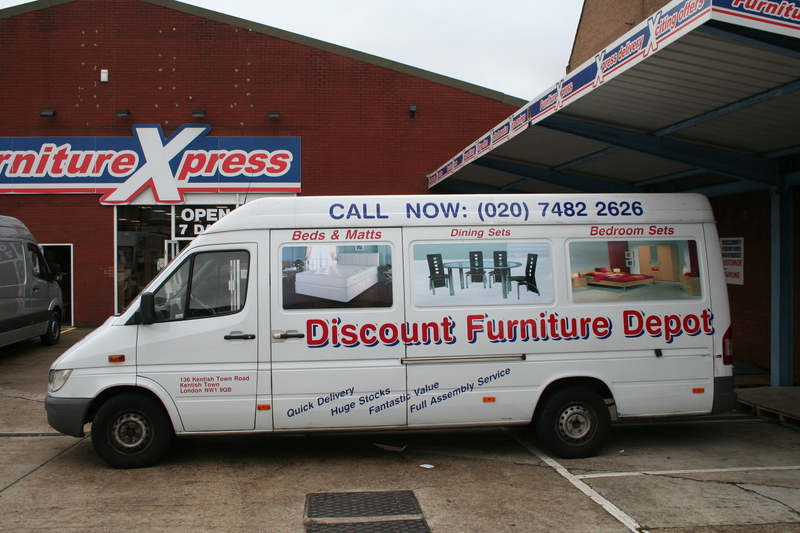 L&S Signs have a vast experience of sign writing commercial vehicles including the biggest of them all. We have our own scissor lift to assist with the installation of graphics to ensure that the job is completed with the minimal amount of disruption to your business. 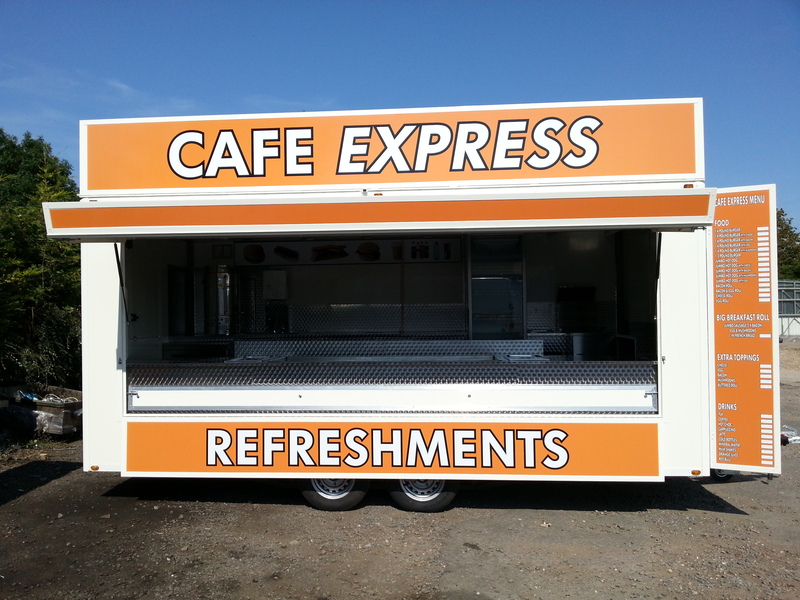 Watch us on YouTube at work and see how we can turn your plain trucks and trailers into colourful and eye catching designs in hours not days!! 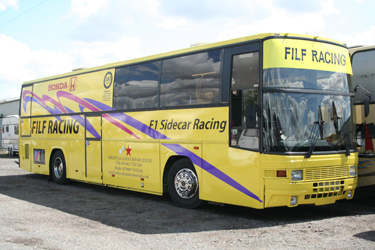 Buses & Coaches are ideal for advertising on as they often spend many hours driving around town and city centres, many companies often sell advertising space on the rear of their vehicles and we can help by wrapping the entire rear of a coach, this can also include the rear window with the use of 'one way vision' vinyl for maximum impact. 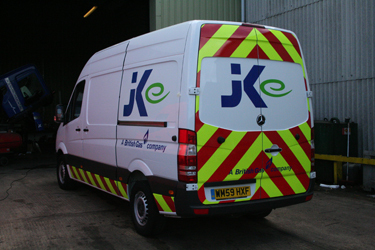 It is a legal requirement that vehicles working at the road side have high visibility graphics fitted. These are generally in the form of reflective chevrons, using high grade reflective vinyl's we can complete your chapter 8 requirements and get you legal! 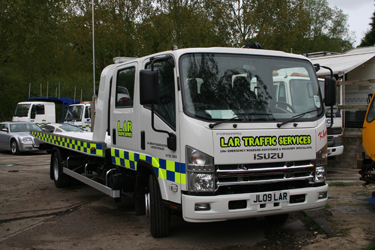 Recovery trucks are a combination of company branding and the legal requirement of reflective vinyl's. 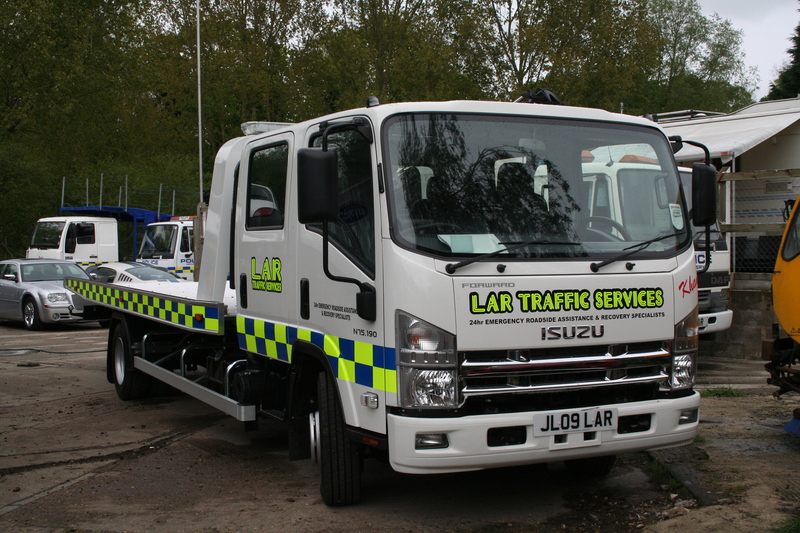 L&S Signs have experience in both of these fields and can turn your roadside recovery truck into an eye catching design that meets all the legal requirements. 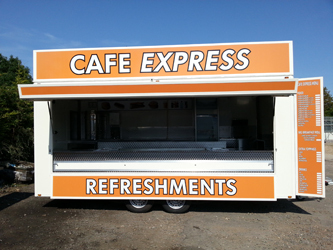 L&S Signs work closely with a local catering trailer manufacturing company and as a result we have sign written many trailers and vans in all shapes and sizes, from complete wrap colour changes to fully printed graphics, we even supply menu boards fitted with dry wipe laminate so the customer with the use of a white board pen can add/change prices with ease. 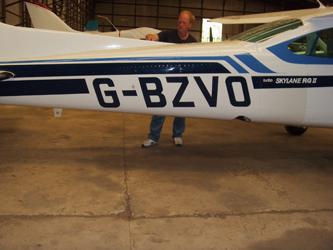 Our most popular request with aircraft is adding call signs, but we can add colourful stripes to make you stand out in the sky. As a keen kite flyer and paramotor pilot myself it is only natural that we include these in our products and services, with the use of self adhesive rip stop nylon we can fit logos and web site address to you kite or paraglider. 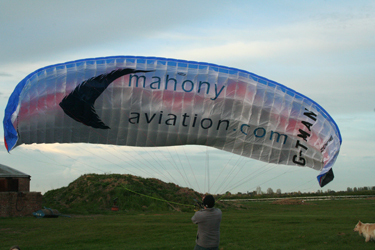 I know first hand how aerial advertising can boost your web site hits. Ideal for temporary advertising on vehicles and for people who use their van for both business and pleasure, also popular with driving school cars, just check that the panel you wish to fit them to is made from a ferrous metal!! 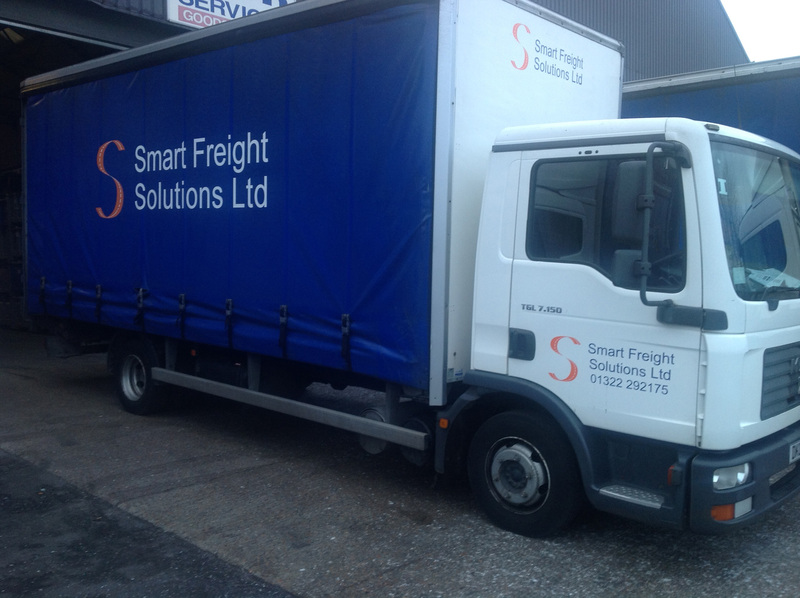 When signwriting lorry curtains it is very important to use the correct vinyl, regular, cast or even banner vinyl simply will not last and with the constant opening and closing of the curtains the vinyl will end up wrinkling, cracking or even just peal off the curtains. 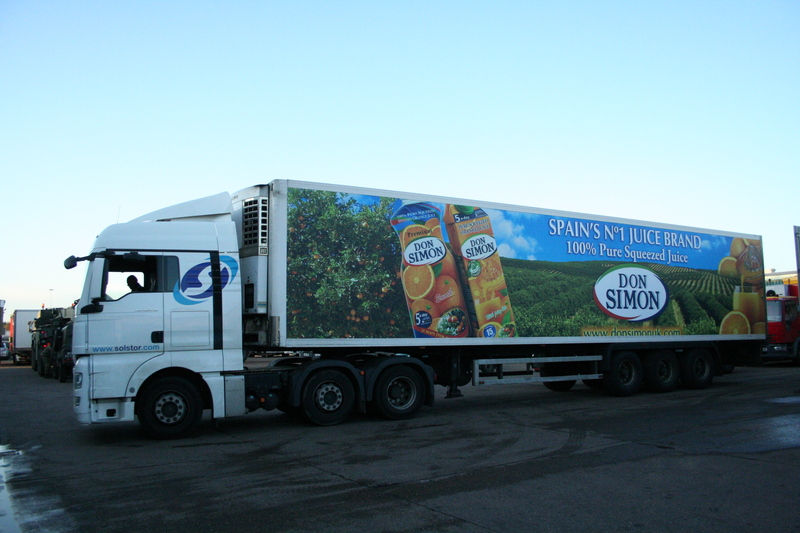 There are a very limited number of manufactures of lorry curtain vinyl and we use the leading manufacture for all our lorry curtain installations.